I'll admit it: I used to be a chronic over-packer. No matter how hard I tried, I could just never limit myself to just the essentials. I'm generally an indecisive person, and I found it nearly impossible to plan what I was going to wear a few days or weeks ahead of a trip. What if I changed my mind? What if I really did end up needing that extra pair of shoes or sundress? If you've ever had a peek into my closet, you'll know that I like options when it comes to my clothing. But, the more I've traveled, the more I've learned the benefits of packing light. When you pack light, there's no fear or overweight baggage fees, or how you'll drag your bag around when you get to your destination. And the best way to ensure you pack light? Pack carry-on only! It can be a challenge, yes. But it definitely can be done. This is probably the most important thing to think about when it comes to packing. Where are you going? What season will it be there? Obviously, if you're going somewhere tropical, you probably can leave the winter coat and fuzzy socks at home. In fact, if it's going to be hot and humid, you can probably leave the jeans behind, too. Not only are they uncomfortable in hot weather, but they also really weigh down your luggage. Conversely, if you're going somewhere cold, you probably shouldn't bother with shorts, and your flip flops should probably be reserved for hostel bathrooms. Simply knowing what sort of weather to expect can do wonders for your packing list, and is the easiest way to decide what things you really need. Whether I'm traveling for 5 days or 5 weeks, I stick to packing roughly the same amount of clothing: enough for about one week. That means enough tops and bottoms for a week, and one week's worth of underwear (sometimes I'll take enough undies for 2 weeks if my trip is really long, but I stick to my one-week rule for everything else!). You can always find laundry services abroad, whether it's at your hotel or at a local laundromat. So there's really no need to pack a top for every single day you'll be gone. I know it's often tempting to pack all your favorite pieces for a trip, but when you're trying to pack light this isn't always going to be possible. Stick to mostly neutral colors that you can mix and match, with one accent color or pattern. When you pack like this, it's easy to turn a small amount of clothing into multiple different outfits simply by pairing things up differently. Add in some fun scarves and necklaces if you're worried about your color palette being too boring. I'm a huge, huge proponent of using packing cubes to organize my suitcase. I use one for tops, one for bottoms, and one for dresses/skirts or sweaters, depending on the trip. I roll my clothes in them, which helps both to save space AND to keep my clothes from getting extra wrinkly. The packing cubes help me keep everything neat and organized, making it easier to find things once I get to my destination (not to mention easier to re-pack everything when it's time to head home). If you're packing carry-on-only, that means you won't be allowed to take any liquids larger than 100 ml with you on the plane. For shorter trips, this is fine – travel-sized bottles of shampoo will be plenty. But if you're going on a longer trip? These are just the most basic tips for traveling carry-on-only, but they really can help you go from an over-packer to someone who breezes through the airport! Are you a fan of carry-on-only travel? 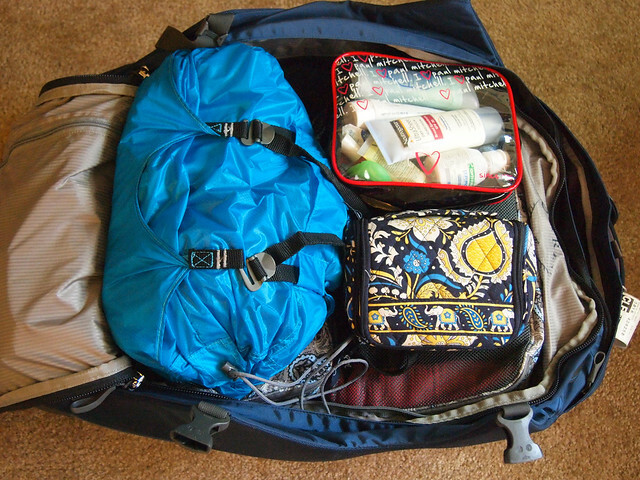 What tricks do you use when trying to travel light? Way to go Amanda! Since our RTW I certainly pack much lighter than I ever have. I learned just how often you can wear the same clothes, and how much other people really don’t care! Cheers! Thanks, Gillian! This, of course, is a lot different than a RTW trip… but limiting myself to 1 carry-on suitcase and a backpack is certainly a step in the right direction! I for sure won’t judge you. It’s awesome Amanda! Space saver bags are the s*it. They help so much. I am making my way to becoming a carry-on only too. It took traveling this long to realize what I really need and what can be left behind. And I totally agree with Gillian about the clothes comment. Yep, don’t really care how many days in a row I can wear the same clothes anymore either, until of course my better half tells me that I need to change, hehe. Yes, I suppose once things start to get a bit stinky, that might be a sign to change the clothes! Haha. I overpack like my life depends on it! Which it doesn’t, obviously. 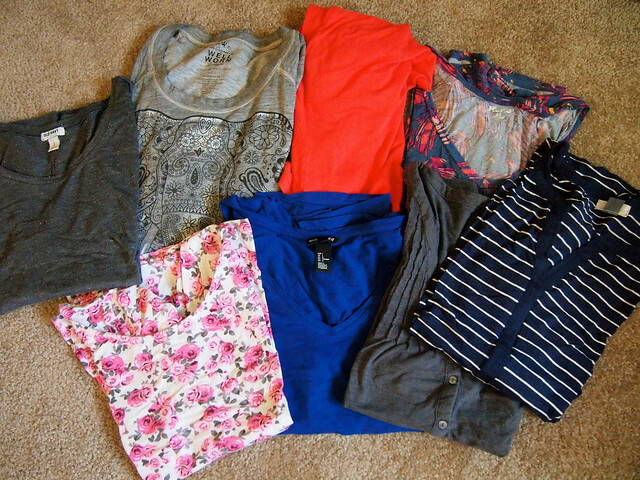 For a seven day trip I’ll bring ten or twelve outfits… just in case (of what, I’m not sure). You sound exactly like me!! I should have been a boy scout – because I always like being prepared! Very nice. I went with just a carry on when I went to New York and Toronto last year, and it worked well. I think the more you travel the more you learn what works for you and what doesn’t. I’m going to Mexico in May and hoping to have everything to 1 carry on, and a laptop case. Yeah, I think a lot of it ends up being trial and error, and learning from all your stupid packing mistakes. For this trip, I have it narrowed down to a small carry-on suitcase and a backpack (that’s also serving as my laptop case). I know I could pare it down even more, but I’m over it at this point. Lol. Those space-saver bags could land you in trouble if you cannot achieve the vacuum effect at your destination on your return journey. Always worries me that! Your warning about luggage weight is very valuable too – easy to think that the suitcase won’t be all that heavy since it’s not stuffed full! Good point about those space-saver bags! It’s probably a good idea to bring some back-ups, just in case. I’ve never had an issue with mine breaking, though (knock on wood!). 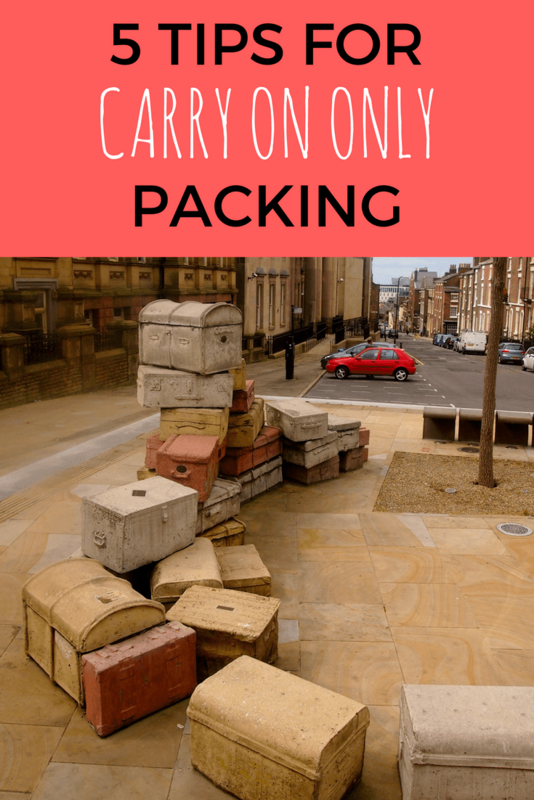 I’m definitely an overpacker as well (mostly because I stay for a long time, through seasons)–but even on short trips, I haven’t been able to convert to carry-on yet, unfortunately. My biggest issue is the darn liquid rule. I can totally fit space-wise, but I hate having to switch around my makeup, moisturizers, etc. You’ll have to let us know how you did AFTER the trip! Traveling for a long time through multiple seasons definitely makes it tough to pack light. Luckily, it’s going to be fairly warm in Hawaii, so I only have to pack for one climate. Also, I’m staying with a friend, so I don’t need to worry about things like shampoo, towels, or a hair dryer. Saves lots of space! I’ll definitely report back on the carry-on-only experience, though! good tips! Definitely space saver bags are the way to go. We have to pack for four as we travel with our children. I wonder if we could do it with a carry on? That might be wishful thinking for us! I would be really impressed if the four of you could travel carry-on-only! Exactly. I have to take a bus to and from the Honolulu airport, so having only small bags will be so nice. I also like being able to skip baggage claim! Yes! Yes! Yes! Carry-on travel only if I can help it. You can hit the ground running without having to wait for your luggage at the baggage claim carousel and have less to lug around. The only time I do more than carry-ons is if I’m backpacking (then my backpack doesn’t fit in the overheads) but carry-on only travel is the way to go! Thanks for the enthusiastic support, Marsha! I hope that my first carry-on-only experience goes well tomorrow! It’s all about the rolling! Since I started rolling my clothes instead of folding (or stuffing) them into my bag, I’ve found I have loads more space than I used to have! Rolling is amazing! It’s weird, because you wouldn’t think it would make any difference. But it totally does!! And yes, you’re right about the space-saver thing. That was exactly my problem when I studied abroad in NZ. I could pack more because I smooshed everything down, but then it was all SO heavy. I’m terrible at overpacking. I always bring at least 4 pairs of heels, 2 pairs of flat shoes, sandals…and that’s JUST shoes. I love your tips though. Makes fitting things in a carry on a little less daunting! You’re a shoe fiend like me! 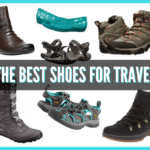 I’m proud of myself on this trip – only the sneakers I’m wearing and 2 pairs of sandals! Glad you like the tips. Hopefully they’ll come in handy for you someday! When I’m packing, I try to play a game (most of the times against myself) to pack as little as possible. When I’m at the airport I get totally excited when my bag gets put on the scale. My record until now: 6,8kg for a 3 week trip (including 3 books). Wow! That’s really impressive!! I need to start playing that game… haha. I did a demonstration on my site on how space saver bags really do help, so I swear by them now! Love my bags. I still don’t think I can get on as carry-on though, mostly because I really want room for souvenirs! I took a tiny tiny rolly suitcase for a 5 day trip to Banff which included my SLR and netbook, as well as a big hoody, which made me pretty happy. My 5 months in Asia I made 14kg in my checked and probably another 6 in my day bag. 😡 Overpackers Anonymous here. Haha, Overpackers Anonymous… I like it! Yes rolling clothes is a must but don’t be shy of wearing lots of layers – especially bulkier garments. Once you have boarded just strip off and neatly fold and place them in the overheads. Yes, this is also a great tip that I utilize often! I’m another who always over-packs. I love to travel but I also love my home – the result, I try to take as much of it with me as I can! I never use half the things I take and typically take things that can be bought at my destination if required. Shall certainly apply our packing tips for my next journey. That’s a good way of putting it, Dawn – that you like home so much that you want to take it all with you! If only we could, right? – ditch the ziploc, instead find a good see-thru toiletry bag. Even if it’s slightly larger than the traditional ziploc, many airports let you thru. These are all really great tips! I like the idea of the adaptor with USB ports. I just bought an all-in-one electronics charger that charged both the battery for my camera and video camera, and has a USB port so I can also use it to charge my phone and iPod. Great investment! Using reversible belts is also a smart idea! Wrinkle-resistant clothing is ALWAYS a good idea! And hey, as long as it doesn’t hurt your back, who cares what size backpack you have, right?? I’m such a packing geek. I got such a thrill out of travelling hand-luggage only to Cyprus last year. It was only a 10 day trip and it was warm and sunny for the whole thing, which always helps. The one drawback to the hand luggage only travel is not being able to take razors, tweezers and nail files on board. I end up spending a fortune on some rubbish tweezers when my wonderful ones sit neglected at home. Still… these eyebrows can’t go a week without plucking. Hello, Yeti! Nothing wrong with being a packing geek! It feels good to be able to pack everything you need into a small little bag, doesn’t it? On this latest trip, I actually did pack my razor and tweezers, and they made it through the security checkpoint just fine! So there’s something to think about. I am used to carrying on my luggage and bags so I’m fine with all of these. Especially the way of putting your clothes into the bags, roll the shirts to have extra spaces inside your bags and etc. I find it more convenient if I have my bags on a stroller to make it a rolling bag but then I need to be practical, so I still carry my bags. Thanks for the packing tips you have given! On each of my trips i have managed carry-on-only. I have found that a rolling backpack works GREAT! Also, one of my purses is large enough to count as a carry on, so i pack it flat in the bottom om my backpack (for anything i buy while on vacation), and i use a convertable purse backpack as my “personal Item” it it goes all my liquids, make up, and other purse items. The rolling backpack has duel full size adjustable compartments, in one goes my shoes and my dresses that can get wrinkled while in the other goes everything else. On the return trip my convertable purse gets packed and out comes the larger one. That way, nothing has to be done without. and, if I get tired, the back pack can be pulled behind and on it i can rest the larger carry on sized purse. I love it! I have never had to wait in line at baggage claim, i walk off the plane and head straight for the rental car! Oh for those who like to rewear clothes, two liquids that are a MUST :Downy wrinkle release …&… Gain with febreze. Both are small travel size sprays and they both work WONDERS. If my flight is rather long and i dont have time to change before dinner once off the plane, i go to the restroom, spray my shirt, give it a little shake and i’m good to go! Another thing that happens if you don’t typically wear close toed shoes, your feet realy stink when you get to the hotel and take your shoes off. Place a dryer sheet in the toe of your shoes so when you take them off, its not as bad. One last thing i learned and would like to share, If traveling in a dress or skirt…. or even a low-ish cut blouse… hairspray the back of your legs, and the cleavage of the blouse. It keeps your skirt from rising up and revealing anything on the plane, it also keeps the blouse from accidently opening up while your curled up asleep. using a water based hairspray on your face (after aplying makeup) will also keep your makeup from smudging on the plane. spray it in to the air infront of your face and just lean into it. 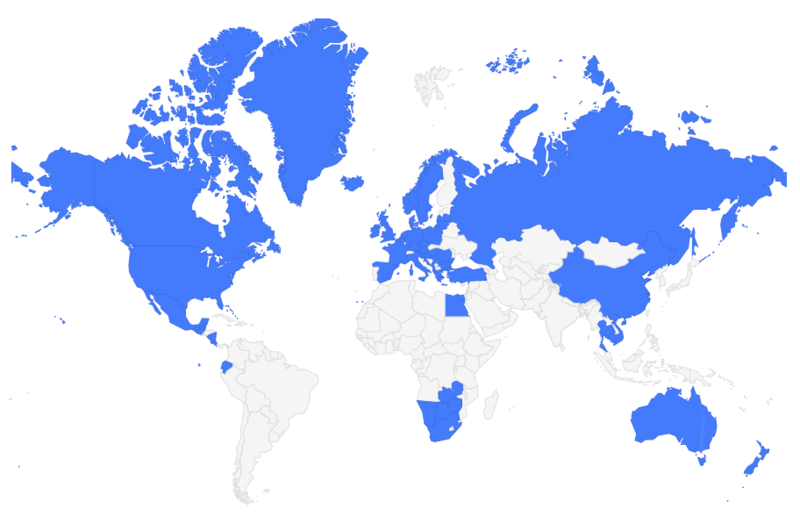 Thanks for sharing so many fantastic trips! I totally agree with you on the little bottles of Downy wrinkle release and Febreeze! I always travel with those, too! Very useful tips, I’ll be going on a trip next week, so I’ll have a field to apply all them! I’m know as the messy packer of the family, so hopefully this will be a big surprise for some people around me.